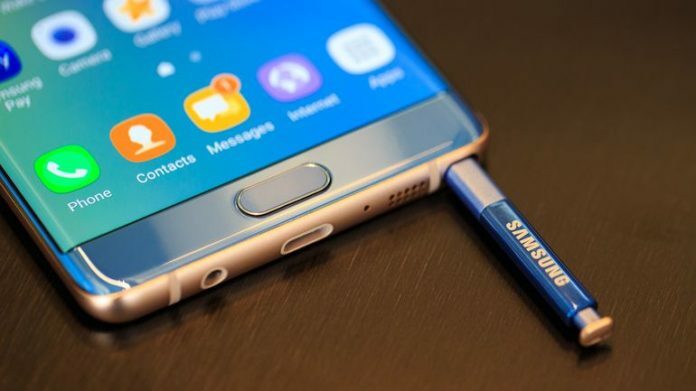 On Tuesday, Samsung announced to release its next and final software update on the 19th- which will prevent all the Galaxy Note 7 from charging and stop its functioning as a mobile device. It will be distributed across all major carriers in the US, the roll out will take around 30 days. Due to several incidences reported about charging problem that caused some device to catch fire while charging, Samsung sent out replacement units and the same were also recalled in mid- September when it become evident that they had the same problem. Since then Samsung has been taking several steps to get possession for all the devices in the market and this seems to be the final one as now there will not be any chance of the device catching since they won’t be able to get charged at all. As of now 93% of Galaxy Note 7 devices has been returned as part of the recall, in the US. At present, all the Galaxy Note 7 users in the US can charge their devices only upto 60% and they receive a pop-up notification about the recall once the screen is turned on. Similar steps have been taken in other countries like, in Canada all the Note 7s are about to be disabled from all wireless networks which means they can’t be used to make a phone call. In New Zealand also the device will cut-off from all the mobile networks and Wi-Fi connection altogether. The company will be notifying the users through various touch points for more participation in the recall. But to end the Note 7 saga once for all the company encourages all the remaining users to contact their retail shops and return or replace their Samsung device with another Samsung device as soon as possible.